Subscribe to the Menemsha Group Blog and turn cold calls into hot leads. Get your free whitepaper with tips and techniques for selling IT staffing services by phone when you subscribe! 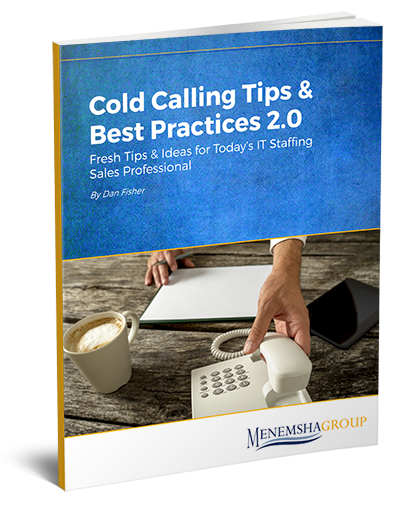 Cold calling doesn’t have to be a necessary evil for IT staffing firms. It can be an opportunity. No matter how strong your pipeline is, chances are that every IT staffing company is going to have to do some cold calls at some point. At Menemsha Group, we call that opportunity; it's your opportunity to reach new people with the solutions you can provide, solve their problems, and make their lives better. And that starts with nailing the cold call. Just fill out the form on this page, click the button, and get your free cold calling guide in your email inbox within minutes!